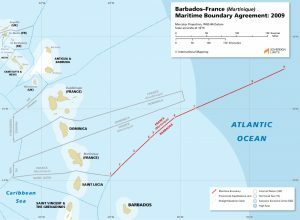 The maritime boundary between Barbados and France’s overseas region of Martinique was established through a bilateral agreement that was reached in 2009. The boundary was delimited using the equidistance methodology and consists of nine coordinate points that are connected by geodesic line segments. 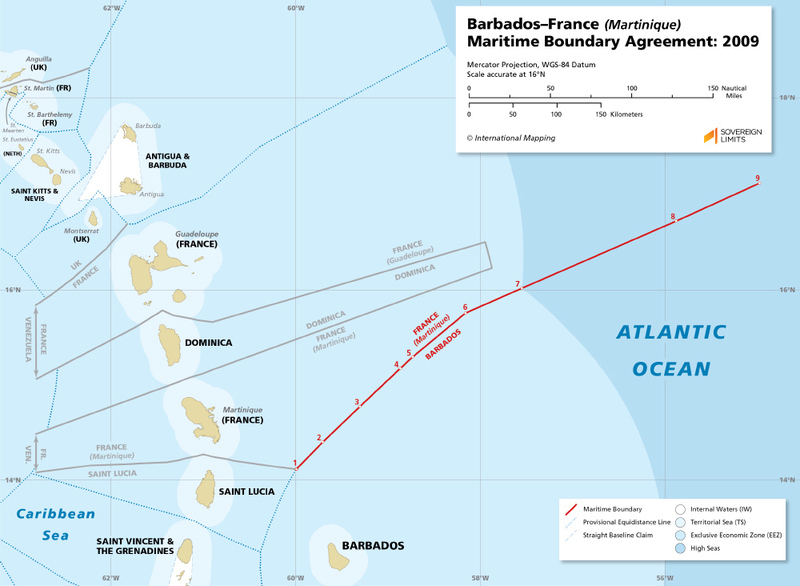 The boundary originates at point 1 which coincides with the terminal point of Martinique’s maritime boundary with St. Lucia and proceeds for approximately 345 nautical miles (M) before terminating in the extended continental shelf northeast of the Parties’ relevant coasts.